I certainly hope this didn't happen too often at the old Hasbro warehouse. 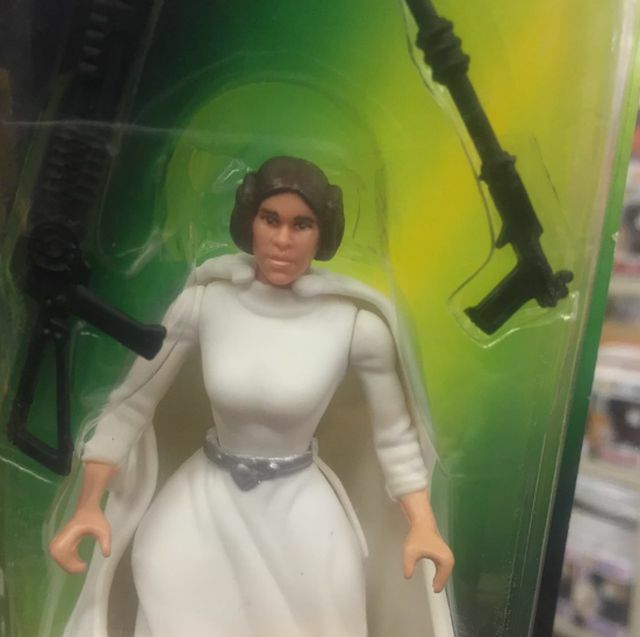 Apparently, someone switched a Leia head with a Han Solo head for this action figure. Or maybe Leia had handmaidens who dressed up like her for protection like Amidala did. Maybe they were all out sick one day and Han had to stand in for them? Thanks to Star Wars Junk for the disturbing picture.